The Jonas Brothers are led for big brother Kevin’s bachelor party. Kevin Jonas is getting married to his fiancee Danielle Deleasa soon. For the wedding Kevin has picked his two brothers as the best man. Both Nick Jonas and Joe Jonas will also go to the bachelor party. Nick and Joe assured to people magazine, “It will be good, clean fun. We are becoming to have a good time with friends and family. It won’t be in Vegas. Vegas is not really the ideal place. We are guessing somewhere even cooler and better. It’s a great deal, but Kevin kind of has already planned it himself. He will give us suggestions on what he would wish and we keep on trying to tell him no. We’re like, ‘You have no participation in planning this. Just get ready to have a good time.'”. The Jonas Brothers looks all set to party hard over the next few days and coundown the days to big brother Kevin’s reception date. 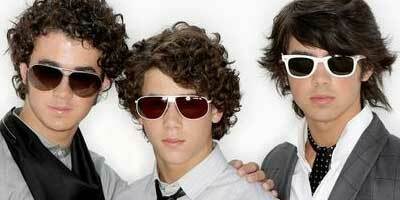 Here’s wishing a merry time to the Jonas Brothers.